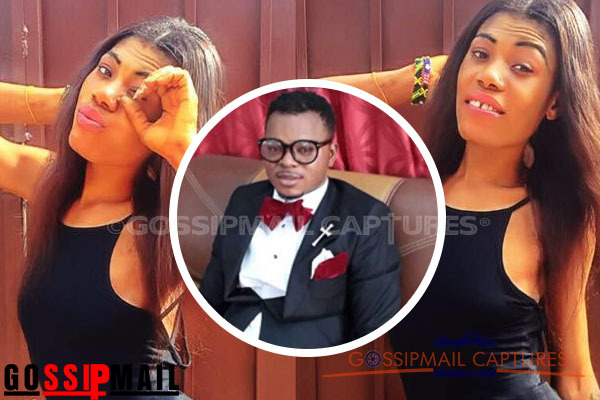 Leader of the International Godsway Church, Bishop Daniel Obinim, has revealed that he has seen the Facebook video of a certain girl, Lydia, aka DC Queen, who met her untimely death on Wednesday morning. He has expressed his disgust at the crime and has therefore revealed that he will use his angelic powers to force the killers to confess. According to him, the girl visited her church last week and he warned her against following boys but the lady did not heed to his advice. In fact, on the night the whole incident occurred, he appeared in the girl’s dream and warned her against going out that night. She was found naked in the Dome Kwabenya area murdered, with her tongue and v.a.gina cut off. According to what NsromaMedia.Com gathered on social media, the slay queen hangs out with fraud boys, popularly refered to as Sakawa boys. From social media feed, nothing good is being said about her company and clearly, she is a victim of ritual killing. Here is how she looked like after the killing.